This week marks the beginning of Spring 2016 and while many view Spring as a great time for cleaning out our homes, Spring is also a great time to refocus. With the increase in daylight we are often feeling more cheerful and energized. This is a great time to set some small goals to keep that feeling going as the weather has its ups and downs. Set a schedule. If you do not already have regularly scheduled work hours, or even if you do, take the time to sit down and write out a weekly schedule. 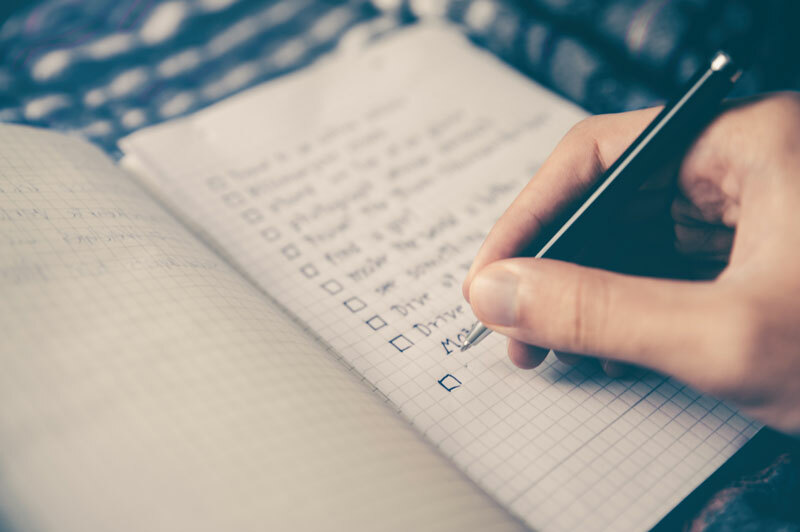 First write down the appointments and prescheduled events you are unable to change, then gradually add in the things you want to do such as going to the gym or meeting a friend for coffee. Include meals and time to wake up/go to sleep. Schedules are a great way to reduce stress and build confidence in your plans. Exercise. Start small if you have not been a regular with exercise lately. Something as simple as a 20 minute walk three days per week can go a long way for increasing energy and helping your health. Try to work toward 30 minutes per day or 150 minutes of exercise each week. Plan it with friends or family, try something new like Yoga or Zumba, or treat your family dog to longer or more frequent walks. Make Lists. Write down what you would like to get done each day or week, crossing off items as you accomplish them. By writing things down you are more likely to complete the task and feel a burst of happy chemicals in your brain when it is completed. Small lists can help you to focus on larger goals. Perhaps this is a great time to think about what you would like to see accomplished by the end of the Summer, break down that larger goal into smaller steps. You may be surprised what you might achieve! Post goals in a place you can see them. Using Post-it notes on mirrors or in places you will see them regularly reminds you of what you are working toward and cues action. You can do this by writing out the goal, the steps along the way or making a visual representation of what you are working toward. Visualize. Taking time to build up a visual image of what life is like when the goal is achieved helps to build confidence in the goal, replacing any doubts. Create a detailed image in your mind of that goal being accomplished using your senses (what will you see, hear, feel, smell or taste?). Phone a friend. If you share your goals with others you are more likely to follow through to completion. Find time for socializing whether it is on a walk, going to the movies or sharing a meal. Perhaps someone you already know is also interested in that new art program through the City of Barrie. If you find yourself struggling this time of year despite the increased daylight and warmer weather, it may be time to come check in with your Nurse Practitioner or Social Worker for extra support. We are also running the Living a Healthy Live with Chronic Conditions series starting in April for those that want to meet new people and attend sessions with direct focus to improve your self-management skills. Click on the April calendar on our home page for more information!